After all these years, people are still working through issues by referring to the writings of my most famous student, Plato. This pleases me. Much of what he wrote featured myself as lead character. While flattering, I need to come clean. I didn't actually say a lot of what Plato put in my mouth. His dialogues are not actual recordings of my discussions--though some of the early ones come close. 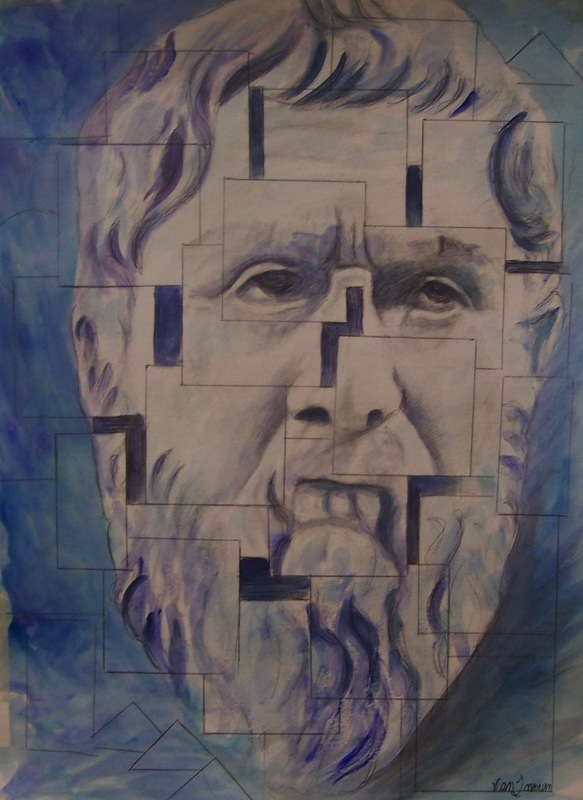 In this article (Would Plato Allow Facebook In His Republic), Jenni Jenkins asks what Plato would think of Facebook. Among other things, she refers to Plato's realm of forms. I never held the metaphysical view that there is an existing realm of forms. That is Plato's idea. But I do agree with some of his thoughts as outlined in this article. I particularly agree with his thoughts about truth relativism. These ideas, it seems to me, have been reinvigorated many times through the centuries. Relativism is seductive and it persistently reappears. And each time, philosophers examine again the nature of truth and reveal the internal paradox of relativism by asking the question: is it an objective truth that there is no objective truth? Another point that I agree with is that when people are invisible, they will be more inclined to act badly. In the case of Facebook, people can act "invisibly", commenting on articles under false names, or even their own name but so far removed, they are essentially invisible. The argument is valid and it seems to be the case that P1 is true. But maybe this is due to ignorance. People who know me will recall that I always argued that people only commit bad acts out of ignorance. No-one thinks they are doing wrong when they act badly. They commit bad actions because they don't realize what they're doing is wrong. Was I wrong about this? Do people actually realize that they are doing harm to others when they post nasty comments? Or do people truly not realize that they are doing harm? Or is it possible that people realize they are doing harm, but think it is the right action to take? This is an issue that clearly requires further examination.